As we edge towards Christmas and sharing a break with family and friends, it’s a time for giving, reflection and evaluation. As a father of two boys, a lot of my family time recently has been spent preparing our house to make Christmas special and this includes thinking about what we can give our kids. Every parent wants to give their kids all they can, to make their child hood years fun and engaging and to set them up for life in the future. One such gift we can all provide our kids is money management skills and with free time over the break it’s a good opportunity to influence this. Our feature article today is about helping kids become more financially aware and as this article shows, it is never too early to start. We’d also like to take the opportunity to thank all our clients who participated in our client feedback survey. You gave up a lot of your valuable time and your comments will be instrumental in how we continue to evolve and improve into 2017. To all of our wonderful clients, team, business partners and extended network, we wish you a Merry Christmas and Happy New Year and we hope to see you all in 2017. Every parent wants to give their kids all they can, to make their child hood year’s fun and engaging and to set them up for life in the future. One such gift we can all provide our kids is money management skills and no matter how old they get, it is possible to influence this. FAQ - How Much Income Do I Need To Retire? The answer to this is entirely dependent on you, however the Association of Super Funds do publish a figure each year and the latest figures say for an Australian couple to retire comfortably they’d need $58,000. When we are helping our clients determine what is right for them, we start by breaking out what they need and what they want. It's important to have enough to meet your basic needs, like bills and groceries and by isolating your need we can prioritise affording the things that you want. On behalf of all of us at Yield Financial Planning, I would like to thank you for the positive feedback we have received from clients. 1. Our pleasant and comfortable manner - we are easy to deal with and get back to you when we say we will. 2. The peace of mind that you have knowing we have created a tailored financial plan just for you. 3. The ability to let go of as much or as little financial control as you desire because you know we are managing your financial journey. 4. The choices we give you - we don't tell you what to do rather we consult, advise and recommend strategies. 5. Our sound financial knowledge; knowing we are keeping abreast of all the regulatory changes and financial trends so that you don't have to. In addition to our monthly e-newsletter, we make regular contributions throughout the month to social media. With investment markets and legislation constantly changing, social media allows us to connect on the issues that matter to you in an easy and immediate way. You only need to read what relates to you, so why leave your retirement to chance? © Yield Financial Planning 2016, All rights reserved. 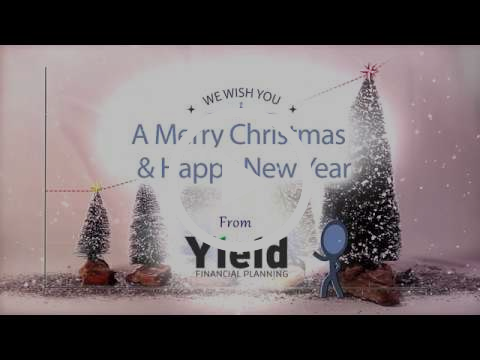 Yield Financial Planning ABN 93 378 061 533.